It’s an inevitable declaration in any conversation about the Academy Awards: “I hated it when they gave an Oscar to….” (insert undeserving film/director/actor). And why not? The Academy of Motion Picture Arts has shown alarmingly poor taste when it comes to celebrating films. This is, after all, the organization that doled out its highest honor to “Slumdog Millionaire,” Danny Boyle’s trash heap of dollar-store sentiment and torture, and “Birdman,” Alejandro G. Iñárritu’s preening ode to his self-proclaimed good taste in pop culture. It’s worth noting that many of the Academy’s bad choices can’t simply be chocked up to differences of opinion. The reality is that too many AMPAS voters simply don’t understand how filmmaking works, as evidenced by their decision to repeatedly not grant the Best Picture and Best Editing trophies to the same film in a given year (as Thelma Schoonmaker-adoring film scholars likely will tell you, editors are responsible for the overall quality of the movies they edit. There is no such thing as a best-edited film of the year that is not also the best film of the year). It’s distressing that the most powerful awards cabal in Hollywood radically misunderstands the very art it seeks to honor. Yet it’s also unfair to accuse the Academy of being a complete black hole when it comes to taste. You just can’t mud-sling that kind of insult at the organization that extolled the joyous verve of Rita Moreno and George Chakiris in “West Side Story,” lauded the haunting visual isolation of “The Graduate,” and dished out 11 Oscars to James Cameron’s “Titanic,” a masterwork of operatic and apocalyptic romanticism. But what about the last 10 years? In between lobbing Oscars at the overrated and the outright terrible, did the Academy get anything right? Absolutely. The following list is filled with the names of writers, actors, directors, and movies that won Oscars and deserved them—a rare but welcome concurrence. So sit back, enjoy the show—and don’t be afraid to disagree. Because what’s “deserving” is in the eye of the moviegoer, right? And for all of the smirking backlash heaped upon “Juno” since its release, the tang of its wit and the heft of its coming-of-age drama have never dimmed. It’s one of the masterpieces of modern American cinema, as much as “The Tree of Life,” “The Social Network,” and dozens of more obviously weighty films. In many ways, the joy of “Juno” lies in the sustained wackiness of Cody’s wordplay. “Geez, Banana, shut your freakin’ gob, okay?” the newly impregnated Juno (Ellen Page) gripes at a dog in the movie’s opening scene. The novelty of the phrasing (who says “gob” these days?) matters because it’s not an affectation—it’s a declaration that we are watching a movie set not in a literal representation of reality, but in a kind of alternate universe where everyone speaks in scintillating exaggerations (even Juno’s father, played by J.K. Simmons, gets in on the action, referring to a furnace as an “octopus furnace”). Cody’s virtuosity extends beyond her hyperbolic dialogue, too. “Juno” may be a comedy, but it’s also a fable about a young woman facing a turbulent rite of passage and reckoning with her inexperience—while simultaneously shaming the cynical adults who surround her with her bravery. “That is a tough, tough thing to do,” Juno’s stepmother (Allison Janney) says when Juno announces she’s going to meet with potential adoptive parents. But Juno replies, “I know,” and you believe her. When Heath Ledger was tapped to be the new-model Joker of Christopher Nolan’s comic-book crime epic, the choice seemed like a casting curiosity. A “Brokeback Mountain” cowboy as the twenty-first century answer to Caesar Romero and Jack Nicholson? Sure, why not. It didn’t sound any odder than Alfred Molina terrorizing Tobey Maguire with a bouquet of metal tentacles. Of course in the end, Ledger’s Joker was not so much next-generation as it was generation-defining. From the moment we first saw him standing on that Gotham City street corner, with his menacingly bent head making him look like a gargoyle in a sport coat, he had us, and he never loosened his grip. With every every word, every gesture, and every cruel cackle that sounded like breaking glass, we slipped further into his thrall. So complex are the contours of Ledger’s insurgent performance that its intricacies have yet to be fully mapped. In the film, the Joker gleefully announces, “Me, I’m an agent of chaos!” which lead numerous viewers to postulate that the motive behind his madness was a cut-and-dry hunger to spread anarchy. What they didn’t realize is that taking the Joker at his word is precisely what allows him to win—and what causes people (Gothamites and moviegoers alike) to misunderstand him. But after some nauseating deliberations, none of the passengers pull the trigger. “What were you trying to prove?” the Dark Knight growls. “That deep down everyone is as ugly as you? You’re alone!” That’s the best line in a film packed with philosophical zingers, and its brilliance is sealed with Ledger’s facial reaction: a look of pure fury, the look of a man who realizes that his nemesis understands him better then he understands himself. 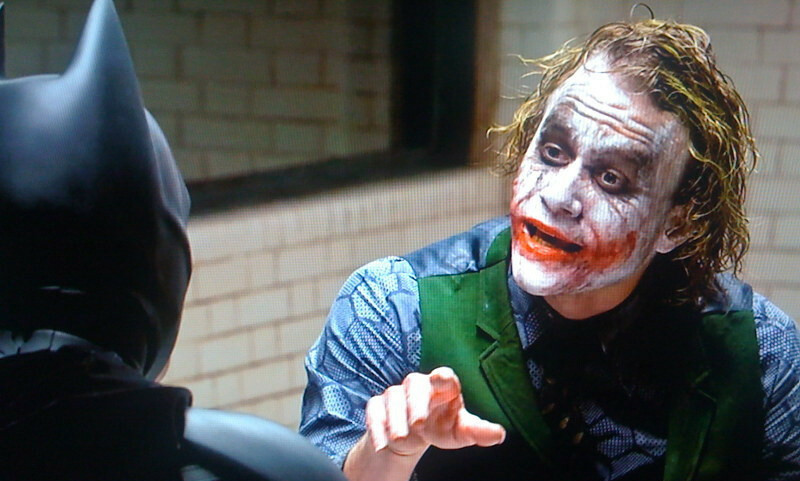 It’s in that moment that Ledger shows us that there’s nothing random about the Joker’s cruelty. The Joker may tell himself (and us) that he’s an agent of chaos, but that’s just a smokescreen to conceal the fact that in a morbid, murderous way, he’s seeking the solace of human connection. That’s why he’s so desperate to prove “that deep down everyone is as ugly” as he is, and Ledger managed to communicate that, despite all that mad, mad laughter. In 2010, Academy voters faced a choice: They could award Best Picture to “Avatar,” a pseudo-feminist epic from James Cameron, or they could honor “The Hurt Locker,” the physically and intellectually ruthless rendering of the Iraq War directed by Cameron’s ex-wife, Kathryn Bigelow. Nevertheless, mewling protestations can’t change the fact that in 2009, Bigelow (who became the first woman to win Best Director) was better than Cameron and that “The Hurt Locker” deserved the Academy’s top prize for not only conducting a masterclass in merciless suspense, but for emerging as the definitive cinematic representation of American military adventurism in the Middle East. Unlike many war films, “The Hurt Locker” offers neither earnest pleas for peace nor blunt “I want you” propaganda. 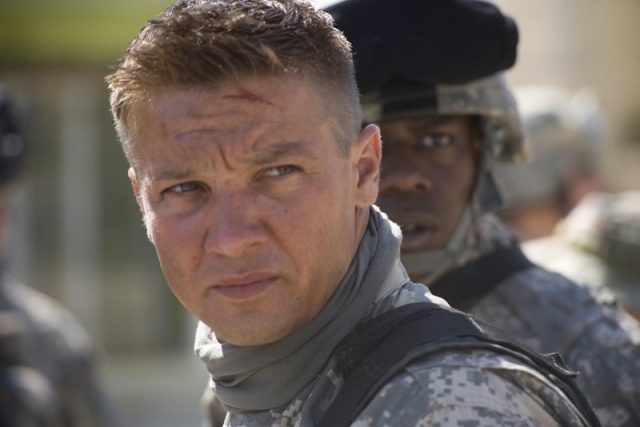 Instead, the film fixates on complex fictional enigma: Staff Sergeant William James (Jeremy Renner), a bomb-disposal expert whose professionalism is as entrancing as his cavalier attitude towards battle is disturbing. As James, Renner exuded chillingly cheery charisma that made him a star, and also crystallized the ambitions of Bigelow and the film’s screenwriter, Mark Boal. Without ever ignoring the gruesome horror of the war, Bigelow and Boal made a movie about an American soldier in Iraq who—perversely, terrifyingly, ridiculously, and believably—seems to be having the time of his life. 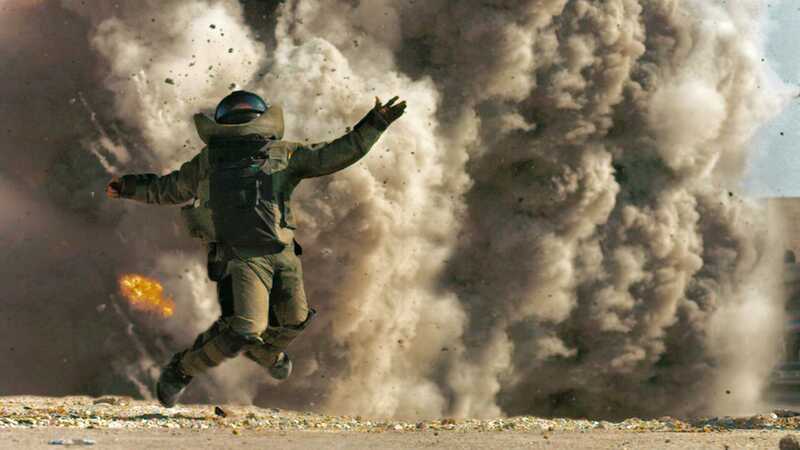 The tragic and fascinating scope of that idea that made “The Hurt Locker” a revelation, especially during an anguished exchange near the movie’s end between James and fellow soldier J.T. Sanborn (Anthony Mackie). “I want a son. I want a little boy, Will,” Sanborn tells his friend. For Sanborn, family represents freedom from combat, though for James, it represents something else—confinement from the giddy thrill that invigorates him every time he puts the kibosh on those bombs. That frightening and inescapable truth turned out to be the thematic bedrock of “The Hurt Locker,” and it may even partly explain why the Iraq War was started in the first place. To a certain contingent of moviegoers, Wally Pfister will probably always be the guy who called “The Avengers” “an appalling film” that drove him “bonkers.” Yet if there’s one thing that really defines Pfister, it’s his role in the creation of the maze-like visual style of Christopher Nolan’s films. Pfister received his Oscar after a string of losses (he was nominated, but failed to win, for “Batman Begins,” “The Prestige,” and “The Dark Knight”), though the sophistication of his “Inception” work makes you think that the Academy was right to wait. 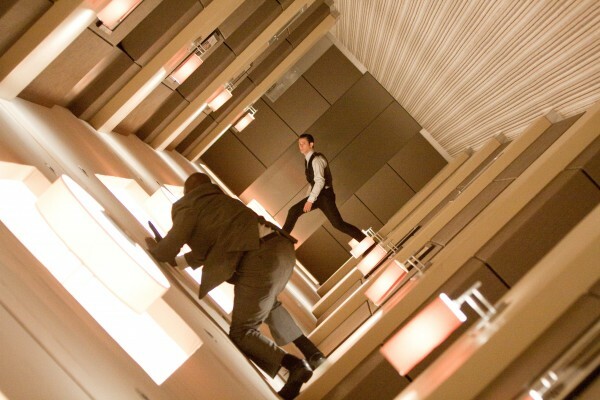 From the lush, bronze-toned lighting of the flashbacks to the doomed marriage of Cobb (Leonardo DiCaprio) and Mal (Marion Cotillard) to the frenetic chase through the streets of Mombasa that climaxes with Cobb caught between two concrete walls while the camera surges toward him, Pfister’s every choice showed that he understood that “Inception” needed to be both a both high-concept heist and a portrait of a widower—something he and Nolan underscored by pressing the camera close to Cobb’s face after he finally accepts that Mal is dead and closes his eyes in a moment of pained surrender. For some cinematographers and filmmakers, that would have been a a moment to express the immensity of Cobb’s loss with a staggeringly wide shot. But in the end, Pfister deserved his Oscar because he and Nolan understood that in a movie where Paris gets turned into a skyscraper sandwich, the most radical thing to do was to think small. That’s probably the reason that even with a $160 million production budget, Pfister and Nolan unfurled images that invited us into the intimate embrace of Cobb’s dreams, from the frothy, foaming waves of the first scene to our final glimpse of that notorious spinning top. It’s an unshakable scene, one of many in “The Fighter,” David O. Russell’s frenzied look at the lives of Dicky and his half brother Micky Ward (Mark Wahlberg), hard-luck boxers from Lowell, Mass. In real life, Ward and Wahlberg are friends, and Wahlberg reportedly trained for the role for years. 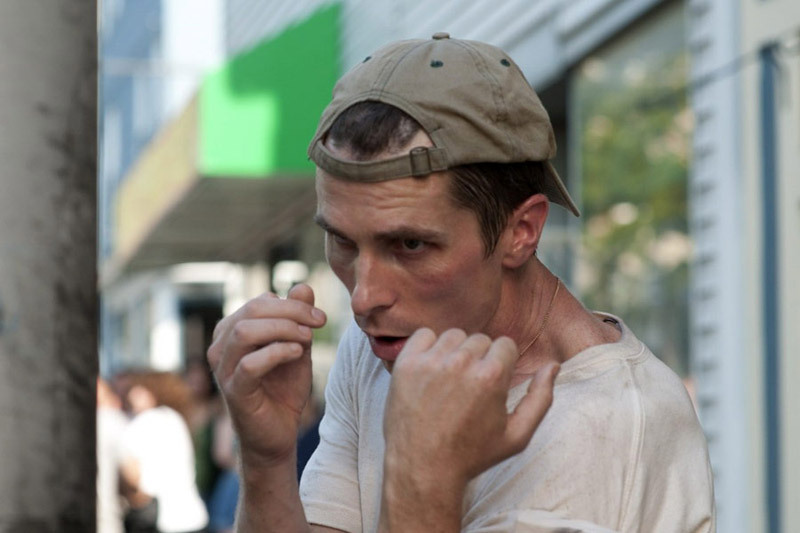 But in the end, “The Fighter” belonged to Bale, and to the moment in that penitentiary where he comes undone, overwhelmed by the enormity of his failings as a father. As he often does, Bale molded himself physically to become Dicky—he lost so much weight that he ended up looking like a tough, gaunt version of Bugs Bunny. But that was a superficial achievement compared to the emotional ferocity he brought to the role, and to the way that he blended into the skin of a father, brother and son who comes face to face with his selfishness and inadequacies and fights like hell to put them to rest.